AQUAMARINE is a wonderful companion stone for those who seek a finer "attunement" to more spiritual levels of awareness. It teaches us the value of moderation in all things, and can instill in us a compassion and tolerance for others around us. 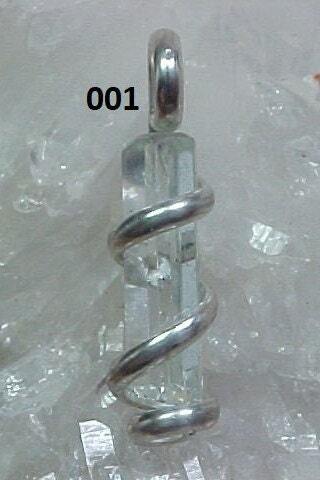 Aquamarine tends to stimulate the "ideal" of being in service to the world and can be a strong stone for courage, teaching us that we must all take responsibility for our actions. It is a terrific stone for enhancing meditation, as well as intuitive and psychic abilities, including clairvoyance. An amazing companion for filtering clutter from the mind, Aquamarine is also excellent for bringing self expression and closure to blocked communication. It is also the traditional birthstone for those who are born in March. Bought as a gift, sure she will love it Great shop ships real fast, very pleasant. Thank you!